Diversified financial services firm IDFC Ltd has named Vishal Kapoor as chief executive officer of IDFC Asset Management Company, as per a press statement. He is expected to join by September. In his new role, Kapoor will head IDFC AMC’s senior management team including Kalpen Parekh, Anoop Bhaskar and Suyash Choudhary and will be responsible for driving the firm’s growth. In addition to his current responsibilities as MD - sales & marketing, Parekh will drive the growth of Portfolio Management Services (PMS) and international businesses, while Bhaskar will continue as head of equities and Choudhary as head of fixed income. 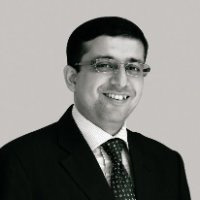 Kapoor has over two decades of experience in financial services across functions and businesses including asset management, banking and consumer marketing. In his recent stint, he was with Standard Chartered Bank as managing director, head of wealth management, India. Prior to that, he was associated with American Express and ITC Threadneedle AMC, working across geographies. Kapoor is a management graduate from IIM Ahmedabad and a Bachelor of Commerce (Hons.) from St. Xavier’s College, Kolkata.